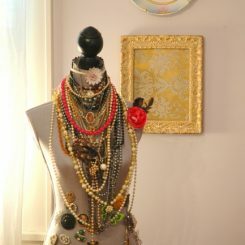 Jewelry Display Project by ArteStyling! I just have to share this awesome jewelry display project by lovely and gracious fellow blogger, Kelly Berg, over at Arte Styling. 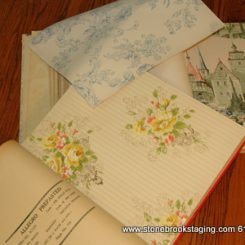 It involves a few of my favorite things: collections, vintage jewelry, and retro wallpaper. Kelly’s dilemma: how to organize and show off her vintage jewelry collection. 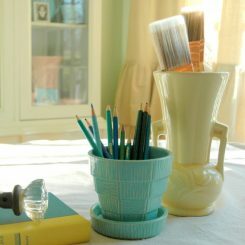 Her solution addresses both form and function, and results in a lovely piece of art in its own rite! Check out her fabulous post here. Don’t forget to enter to win the handmade linen napkins offered to The Decorologist readers by Ruffled Linens. A winner will be chosen this Friday, Nov 19th! 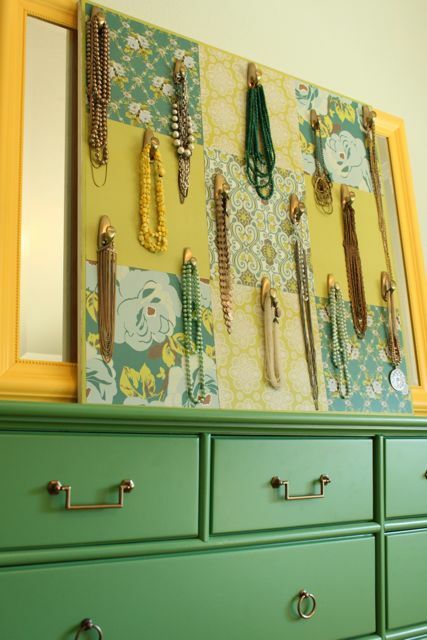 This entry was posted in Collective Soul and tagged artestyling, green and yellow decor, jewelry display, jewelry storage idea, kelly berg, vintage jewelry, vintage wallpaper.